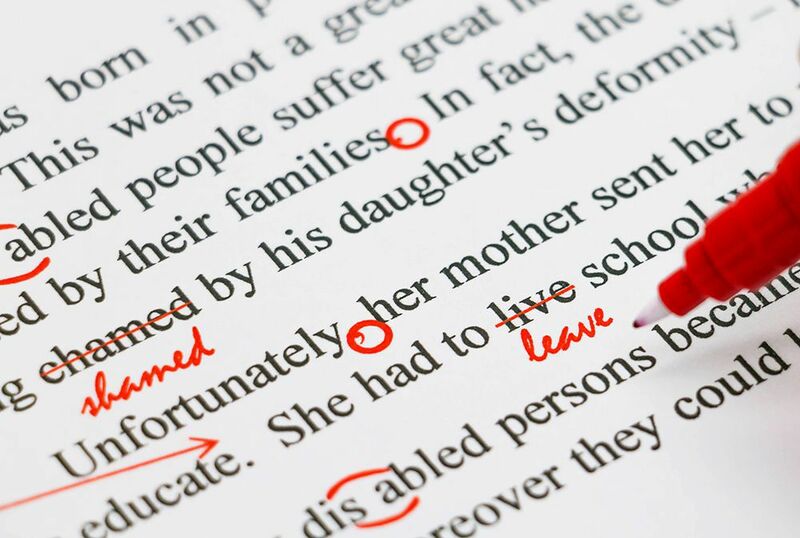 Grammatical errors happen to most of us at some point or another, but there’s a trend in the types of mistakes commonly seen among college students. And as you get deeper and deeper into your college career, you’ll need all the help you can get to make sure your papers and assignments are error-free. Whether you’re the self-appointed grammar police or a total grammar newbie, slip-ups can happen to anyone. Here are five common mistakes college students make, along with some tips for how you can avoid them. Chris and me? Chris and I? Chris and myself? The easiest way to avoid using the wrong one is to remove everyone else from the statement, and then see if it still makes sense. I sent the email to Chris. “Me” is the object pronoun. That means it is acted upon (for instance, in the example above, “Chris” is the object). Chris sent the email to me. “Myself” is the reflexive object pronoun. The difference here is that reflexive objects are actions you perform on yourself. I sent the email to myself. An introductory element— it can be a phrase, clause, or word—usually gives some background information. A comma helps to separate it from the rest of the sentence, as well as clarify what or whom the subject is. The comma is optional only if the introductory element is short. While the baby was napping, Emily decided to take a shower. Last week, I went to the library. These happen when a comma separates two clauses that could be two separate sentences. To fix comma splices, you can add a semicolon or a period, use a conjunction like and/or/but or some other connecting word, or rewrite the sentence entirely. INCORRECT: He checked out a book on gardening, she went to wait in the car. CORRECT: He checked out a book on gardening while she went to wait in the car. CORRECT: He checked out a book on gardening; she went to wait in the car. CORRECT: She waited in the car while he checked out a book on gardening. The rules for these words are obvious for some people, but for many others, it’s one big web of tangled nonsense. And it’s pretty understandable because remember homophones? Yep, they all sound the same. It may be helpful to remember that in all three of these cases, the apostrophe means it’s a contraction: a shortened form of two words. So “you’re” is short for “you are,” “they’re” is “they are,” and “it’s” is “it is.” So we’ve got the contractions out of the way— now let’s focus on the possessives: “your,” “their,” and “its” (without the apostrophe). These all denote that something belongs to someone. I forgot your notebook at home. Chris and Emily waited in their car. The garden was in full bloom, and its flowers were beautiful. With these tips in mind, you’re ready to make that final paper grammatically flawless! Wield your newfound grammar skills at Independence University, an online institution offering a variety of degrees in today’s most desirable career fields. Request more information today!